Maldivian, also known as Dhivehi or Divehi (ދިވެހި, dhivehi or ދިވެހިބަސް, dhivehi-bas, Dhivehi pronunciation: [d̪iˈʋehi]), is an Indo-Aryan language spoken in the South Asian island country of the Maldives; it is the language of the Maldivians, an Indo-Aryan ethnic group native to the country. It is also the first language of nearly 10,000 people on the island of Minicoy in the Union territory of Lakshadweep, India, where the Mahl dialect of the Maldivian language is spoken. Maldivian is closely related to the Sinhalese language of Sri Lanka. The ethnic autonym for the language, Divehi, is occasionally found in English as Dhivehi (spelled according to the locally used Malé Latin for romanization of the Maldivian language), which is the official spelling as well as the common usage in the Maldives. Maldivian is written in the Thaana script. The major dialects of Maldivian are Malé, Huvadhu, Mulaku, Addu, Haddhunmathee, and Maliku. The standard form of Maldivian is Malé, which is spoken in the Maldivian capital of the same name. The Maliku dialect spoken in Minicoy is officially referred to as Mahl by the Lakshadweep administration. This has been adopted by many authors when referring to Maldivian spoken in Minicoy. Maldivian is a descendent of Elu Prakrit and is closely related to the Sinhalese language, but not mutually intelligible with it. Many languages have influenced the development of the Maldivian language through the ages, most importantly Arabic. Others include French, Persian, Portuguese, Hindustani, and English. The English words atoll (a ring of coral islands or reefs) and dhoni (a vessel for inter-atoll navigation) are anglicised forms of the Maldivian words atoḷu and dōni. The origin of the word "Divehi" is Div+vehi meaning "Islanders" (from Sanskrit Dvīpa). Bas means "language" (from Sanskrit Bhāṣā), so Divehi-bas means "Islanders' language". Harry Charles Purvis Bell, one of the first Dhivehi linguists, called it Divehi. This was consistent with Maldives, the name of the country, for the -dives of Maldives and the word Divehi have the same root, Old Indo-Aryan dvīpa "island". Wilhelm Geiger, a German linguist who undertook the first research on Maldivian linguistics in the early 20th century, also called the language Divehi. An h was added to the name of the language— "Dhivehi"— in 1976, when the semi-official transliteration called Malé Latin was developed. Today the spelling with an h is both common and official usage in the Maldives. Maldivian is an Indo-Aryan language closely related to the Sinhalese language of Sri Lanka. Maldivian represents the southernmost Indo-Aryan language. Together with Sinhala, Maldivian represents a subgroup within the Modern Indo-Aryan languages which is called Insular Indo-Aryan. However, Sinhala and Maldivian are not mutually intelligible. Maldivian is descended from the Maharashtri Prakrit of ancient and medieval India. These Prakrits were originally derived from Old Indo-Aryan vernaculars related to Vedic Sanskrit. Whereas earlier it was believed that Maldivian was a descendant of the Sinhalese language, in 1969 Sinhalese philologist M. W. S. de Silva for the first time proposed that Maldivian and Sinhalese have branched off from a common mother language. Maldivian has a continuous written history of about eight hundred years. 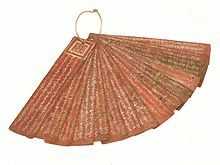 The earliest writings were on the lōmāfānu (copper-plate grants) of the 12th and 13th centuries. Early inscriptions on coral stone have also been found. The oldest inscription found to date is an inscription on a coral stone, which is estimated to be from around the 7th or 8th century. Maldivian is an Indo-Aryan language of the Sinhalese-Maldivian subfamily. It developed in relative isolation from other languages until the 12th century. Since the 16th century, Maldivian has been written in a unique script called Thaana which is written from right to left, like those of Aramaic and Arabic (with which it shares several common diacritics for vowel sounds). The foundation of the historical linguistic analysis of both Maldivian and Sinhalese was laid by Wilhelm Geiger (1856–1943). In Geiger's comparative study of Maldivian and Sinhalese, he assumes that Maldivian is a dialectal offspring of Sinhalese and therefore is a "daughter language" of Sinhalese. However, the material he collected was not sufficient to judge the "degree of relationship" of Maldivian and Sinhalese. Geiger concludes that Maldivian must have split from Sinhalese not earlier that the 10th century CE. However, there is nothing in the history of these islands or Sinhalese chronicles, even in legendary form, that alludes to a migration of Sinhalese people which results such a connection. Vitharana suggests that Maldivian did not evolve as a separate language to Sinhalese until the 12th century CE. But Reynolds and others[who?] have suggested that Maldivian started showing indications of divergence as early as the 4th century CE. De Silva proposes that Maldivian and Sinhalese must have branched off from a common mother language. He says that "the earliest Indic element in Maldivian is not so much a result of branching off from Sinhalese as a result of a simultaneous separation with Sinhalese from the Indic languages of the mainland of India", referring to Dravidian influences seen in the Maldivian language, such as in old place names. De Silva's theory is supported by the legend of Prince Vijaya as told in the Mahavamsa, because if this legend is to be believed, the migration of Indo-Aryan colonists to the Minicoy, Maldives and Sri Lanka from the mainland (India) must have taken place simultaneously. This means that Maldivian and Sinhalese must be "sister languages" that developed from a common Prakrit. Whatever the origin of Maldivian, linguists agree that Maldivian is an Indo-Aryan language which also has older Indic elements in it. A rare Maliku Thaana primer written in Maldivian published by Lakshadweep's administration during the time of Rajiv Gandhi's rule was reprinted by Spanish researcher Xavier Romero-Frias in 2003. There is a holiday, the Dhivehi Language Day, which is celebrated in the Maldives on 14 April, the birthday of the writer Husain Salaahuddin. Most speakers of Maldivian live in the Maldives, where it is the national language of the island-nation. Maldivian is also spoken in Minicoy Island in the Union Territory of Lakshadweep, India, while a few have migrated to Thiruvananthapuram, Kochi and elsewhere in the state of Kerala. Maldivian is the official language of Maldives and a semi-official language in the Union Territory of Lakshadweep, India. Due to the wide distribution of the islands, differences in pronunciation and vocabulary have developed during the centuries. The mainstream form of Maldivian is known as Malé Bas and is based on the dialect spoken in the capital of the Maldives. The most divergent dialects of the language are to be found in the southern atolls, namely Huvadhu, Fuvahmulah and Addu. Slighter variants are spoken in Haddhunmathi and in Minicoy (Maliku) where Haddhunmathee Bas and Maliku Bas (Mahl) are spoken respectively. The dialect spoken in Minicoy has fewer differences from the standard Maldivian than other dialects. Among the dialects, Malé Bas and Maliku Bas are most similar. The other variants show much difference including the dialects spoken in a few islands in Kolhumadulu, which are hardly recognised and known. Mulaku Bas is a dialect of Maldivian spoken by the people of Fuvahmulah. Mulaku Bas has word-final 'l' (laamu sukun ލް), which is absent from the other dialects of Maldivian. Another characteristic is the 'o' sound at the end of words, instead of the final 'u' common in all other forms of Maldivian; e.g. 'fanno' instead of 'fannu'. Regarding pronunciation, the retroflex 'ṣ' (IPA [ʂ]), which has almost a slight 'r' sound in mainstream Maldivian, becomes 'š' (IPA [ʃ]) in Mulaku Bas, sounding like Arabic: ش‎ shīn. One of the most unusual features of Mulaku Bas is that, unlike other dialects, it distinguishes gender. Also, there are many remarkable differences in the dialect in place of the Sukun system as well as the vowel or diacritical system following a distinctive set of rules. Huvadhu Bas, spoken by the inhabitants of the large atoll of Huvadhu, is another distinctive form of Maldivian. Because of the isolation from the Northern Atolls, and the capital of Malé, Huvadhu Bas compared to other variants makes more use of the retroflex /ʈ/. Huvadhu Bas also retains old Sinhala words and is sometimes considered to be linguistically closer to Sinhala than the other dialects of Maldivian. Addu Bas is also quite different from the official form of the Maldivian language and has some affinities with Mulaku Bas. In the past, Addu Atoll being a centre of Education, the islanders from the three atolls of the south who acquired education from the atoll used the Addu Bas as their lingua franca. Hence, when for example one of these islanders of any of the Huvadhu islands met with someone from Fuvahmulah, they would use Addu Bas to talk to each other. Addu Bas is the most widespread of the dialects of Maldivian. However, the secessionist government of the Suvadives (1959–1963) used Malé Bas in its official correspondence. The lesser known dialect in the Madifushi island of Kolhumadulu locally known as Madifushi Bas has some similarities with Huvadhu Bas. Word-final 'a' is often replaced with 'e' or 'o', and some final consonants also differ. The letter Ṇaviyani ޱ (different from the letter Ñaviyani), which represented the retroflex n sound common to many Indic languages (Gujarati, Hindi, etc. ), was abolished from official documents in 1950 by Muhammad Amin, the ruler of Maldives. It is not known why this particular letter representing a retroflex sound was abolished while others, like Ḷaviyani, Ḍaviyani, and Ṭaviyani, were not. Ṇaviyani's former position in the Thaana alphabet, between the letters Gaafu and Seenu, is today occupied by the palatal nasal Ñ or Ñyaviyani ޏ. It is still seen in reprints of traditional old books like the Bodu Tarutheebu and official documents like Rādavaḷi. It is also used by people of southern atolls when writing songs or poetry in their language variant. According to Sonja Fritz, "the dialects of Maldivian represent different diachronial stages in the development of the language. Especially in the field of morphology, the amount of archaic features steadily increase from the north to the south. Within the three southernmost atolls (of the Maldives), the dialect of the Addu islands which form the southern tip of the whole archipelago is characterized by the highest degree of archaicity". Fritz puts forward this theory based on research into the dialects of Addu and Fuvahmulah. She is yet to do research on the dialect of Huvadhu Atoll, and has to do more research on both Addu and Fuvahmulah dialect.[who?][when?] Only then can she determine whether the dialects Fuvahmulah and Huvadhu or that of Addu is more archaic. However, from Malé (Maldives) to the south up to Huvadhu Atoll (Maldives) the amount of archaic features increase but from Huvadhu Atoll the amount of archaic features decrease towards south. And the dialect of Huvadhu is characterized by the highest degree of archaicity. Fritz also adds that "the different classes of verb conjugation and nominal inflection are best preserved there, morphological simplifications and, as a consequence increasing from atoll to atoll towards north (in the Maldives)". Maldivian presents another aspect with which English speakers are not too familiar: the distinction between what is spoken and what is written. Every language that has a written idiom has this distinction to a greater or lesser degree. But Asian languages such as Maldivian seem to exhibit major differences between the two varieties of language. Malé Bas and Maliku Bas are the only dialects commonly used in writing. Spoken Maldivian, for instance, has twenty seven consonants. In contrast, written or literary Maldivian contains these sounds and some Arabic sounds as well. Though these sounds are also used in speaking, their phonetics are not strictly observed. This results in pronouncing it as close as possible to the Maldivian sounds when speaking. To make things simpler it may be said that every sentence in written Maldivian ends with the addition of ‘ve’, which is never used to end a sentence in spoken Maldivian. In using ‘ve’ a strict word-order also has to be maintained. But in spoken Maldivian word-order is not considered to be very rigid. One of the very important things one has to take into account in written Maldivian which is not so important in spoken Maldivian is the ‘sukun’ on the letters ‘alif’ and ‘shaviyani’. ‘Sukun’ in general is a mark to indicate an abrupt stop on the sound of the letter on which it is placed. However, if it comes within the word, the letter is repeated; if it comes on a ‘shaviyani’ or ‘alif’ at the end of a word, it signifies the sound ‘h’; if it comes on a ‘thaa’, the sound is replaced by ‘iy’. The Maldivian language has had its own script since very ancient times, most likely over two millennia, when Maldivian Buddhist monks translated and copied the Buddhist scriptures. It used to be written in the earlier form (Evēla) of the Dhives Akuru ("Dhivehi/Maldivian letters") which are written from left to right. Dhives Akuru were used in all of the islands between the conversion to Islam and until the 18th century. These ancient Maldivian letters were also used in official correspondence with Addu Atoll until the early 20th century. Perhaps they were used in some isolated islands and rural communities until the 1960s, but the last remaining native user died in the 1990s. 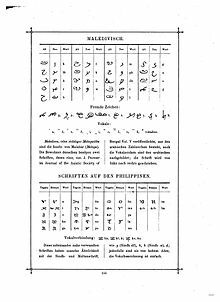 Today Maldivians rarely learn the Dhives Akuru alphabet, for Arabic is being favoured as second script. Maldivian is now written using a different script, called Taana or Thaana, written from right to left. This script is relatively recent. The literacy rate of the Maldives is very high (98%) compared to other South Asian countries. Since the 1960s English has become the medium of education in most schools although they still have Maldivian language classes, but Maldivian is still the language used for the overall administration. Maldivian uses mainly the Thaana script for writing. It is an alphabet, with obligatory vowels derived from the vowel diacritics of the Arabic abjad. It is a largely phonemic script: With a few minor exceptions, spelling can be predicted from pronunciation, and pronunciation from spelling. The origins of Thaana are unique among the world's alphabets: The first nine letters (h–v) are derived from the Arabic numerals, whereas the next nine (m–d) were the local Indic numerals. (See Hindu-Arabic numerals.) The remaining letters for loanwords (t–z) and Arabic transliteration are derived from phonetically similar native consonants by means of diacritics, with the exception of y (ޔ), which is derived from combining an alifu (އ) and a vaavu (ވ). This means that Thaana is one of the few alphabets not derived graphically from the original Semitic alphabet – unless the Indic numerals were (see Brahmi numerals). The Thaana alphabet (hā, shaviyani, nūnu, rā, bā, ...) does not follow the ancient order of the other Indic scripts (like Sinhala or Tamil) or the order of the Arabic alphabet. Thaana, like Hebrew and Arabic, is written right to left. It indicates vowels with diacritic marks derived from Arabic. Each letter must carry either a vowel or a sukun, which indicates "no vowel". The only exception to this rule is noonu which, when written without a diacritic, indicates prenasalisation of a following stop. The vowels are written with diacritical signs called fili. There are five fili for short vowels (a, i, u, e, o), where the first three look identical to the Arabic vowel signs (fatha, kasra and damma). Long vowels (aa, ee, oo, ey, oa) are denoted by doubled fili (except oa, which is a modification of the short obofili). The letter alifu has no sound value of its own and is used for three different purposes: It can act as a carrier for a vowel with no preceding consonant, that is, a word-initial vowel or the second part of a diphthong; when it carries a sukun, it indicates gemination (lengthening) of the following consonant; and if alifu+sukun occurs at the end of a word, it indicates that the word ends in /eh/. Gemination of nasals, however, is indicated by noonu+sukun preceding the nasal to be geminated. Maldivian is also written in Roman script and Devanāgarī script. Towards the mid-1970s, during President Ibrahim Nasir's tenure, the Maldivian government introduced telex machines in the local administration. This was viewed as great progress, but the local Thaana script was deemed to be an obstacle because messages on the telex machines could only be written in the Latin script. Following this, in 1976 the government approved a new official Latin transliteration, Dhivehi Latin, which was quickly implemented by the administration. Booklets were printed and dispatched to all Atoll and Island Offices, as well as schools and merchant liners. This was seen by many as the effective demise of the Thaana script. Clarence Maloney, an American anthropologist who was in the Maldives at the time of the change, lamented the inconsistencies of the "Dhivehi Latin" which ignored all previous linguistic research on the Maldivian language done by H.C.P. Bell and Wilhelm Geiger. He wondered why the modern Standard Indic transliteration had not been considered. Standard Indic is a consistent script system that is well adapted to writing practically all languages of South Asia. The government reinstated the Thaana script shortly after President Maumoon took power in 1978. There was widespread relief in certain places, especially rural areas, where the introduction of Latin had been regarded with suspicion. However, the substandard Latin transcription of 1976 continues to be widely used. The 412-page hard-back English-Maldivian dictionary, A Maldivian Dictionary, written by Christopher Hanby Baillie Reynolds, was published on 22 July 2003 by Routledge and contains about 5000 individual entries. The sound system of Maldivian is similar to that of south Indian languages. Like other modern Indo-Aryan languages the Maldivian phonemic inventory shows an opposition of long and short vowels, of dental and retroflex consonants, and of single and geminate consonants. denoting absence of a vowel. The short open back vowel is phonetically central [ä]. Maldivian, like English, has intonation, but its patterns are very different from those of English. In Maldivian, the general tendency is to stress the first syllable of a word. Maldivian has geminate consonants. For example, the two 's' sounds in vissaara (rain) fall into adjoining syllables: vis-saa-ra. Similarly feth-thun (to swim), dhek-kun (to show). Native Maldivian (mabbas) words do not allow initial consonant clusters; the maximum syllabic structure is CVC (i.e. one vowel flanked by a consonant on each side). Many speakers of Maldivian restrict their phonology to this pattern, even when using loan words, thus iskūl (VC.CVC) for skūl (CCVC) "school". The letter ޱ was replaced by ޏ, and the letter ޝ was regarded as a letter from the set of thikijehi-Thaana (pointed Thaana) during the rule of Mohamed Ameen Didi. Nouns in Maldivian inflect for definiteness, number and case. Definiteness may be one of definite, indefinite or unspecified. Number may be singular or plural. Case may be one of nominative, dative, ablative, genitive, locative, instrumental or emphatic. The nominal system of Maldivian comprises nouns, pronouns, adjectives and numerals as parts of speech. Maldivian uses two numeral systems. Both of them are identical up to 30. After 30, however, one system places the unit numeral stem before the decade, for example, eh-thirees '31' (lit. "one and thirty") while the other combines the stem of the decade with the unit numeral, for example, thirees-ekeh '31' ("thirty + one"). The latter system also has numerals multiplied by ten for decades 70, 80 and 90. The decade fas dholhas '60' ("five twelves"), comes from a much older duodecimal, or dozen-based, system which has nearly disappeared. The Maldivian verbal system is characterised by a derivational relationship between active, causative and involitive/intransitive verb forms. The word ‘mashah’ (to me) may be dropped wherever the context makes it obvious. Speakers of Maldivian use a great many loan words from many languages in their everyday conversation (see § Vocabulary). The extent to which loan words are used varies between speakers, depending on their contacts with that language. Thus, those who have had an English education will tend to use a larger number of English words, while an average speaker with little or no contact with English will tend to use just a few. Some of these adopted words have now become so much part of the Maldivian language that there seem to be no other words that could replace them. There are different ways by which loan words are naturalised in Maldivian. This depends on whether the loan word refers to a person, a thing, or some kind of action. kensal + vanee = canceling (on its own) i.e. getting cancelled. kensal + vaane = will cancel (on its own) i.e. will get cancelled. Inherent in the Maldivian language is a form of elaborate class distinction expressed through three levels: The first level, the enme maaiy goiy (known colloquially as reethi bas), is used to address members of the upper class and of royal blood, but is now more often used on national radio and TV. To show respect for elders, officials and strangers the second level, maaiy goiy is used. People use the more informal third level aadhaige goiy in everyday life and to talk about themselves. Even a nobleman or a high official does not use the high level to talk about himself. Maldivian contains many loan words from other languages. Maldivian has also borrowed words from Urdu, Hindi and more recently, English (in particular many scientific and technological terms). English words are also commonly used in the spoken language, for example "phone", "note", "radio", and soat ("shorts"). މާއްދާ 1 – ހުރިހާ އިންސާނުން ވެސް އުފަންވަނީ، ދަރަޖަ އާއި ޙައްޤު ތަކުގައި މިނިވަންކަމާއި ހަމަހަމަކަން ލިބިގެންވާ ބައެއްގެ ގޮތުގައެވެ. އެމީހުންނަށް ހެޔޮ ވިސްނުމާއި ހެޔޮ ބުއްދީގެ ބާރު ލިބިގެން ވެއެވެ. އަދި އެމީހުން އެކަކު އަނެކަކާ މެދު މުޢާމަލާތް ކުރަންވާނީ އުޚުއްވަތްތެރި ކަމުގެ ރޫޙެއް ގައެވެ. Article 1 – All human-beings also born, ranking and rights' in freedom and equality acquired people like is. Them to reason and conscience's endowment acquired is. And they one another to behaviour to do brotherhood's spirit with. Article 1 – All human beings are born free and equal in ranking and rights. They are endowed with reason and conscience and should act towards one another in a spirit of brotherhood. Founded in 1984, the Mahal Unit Press at Minicoy prints texts in Maldivian, among other languages. The press also publishes the Lakshadweep Times in three languages on a regular basis: Maldivian, English and Malayalam. This unit is based in the main building, constructed in 1998. For the first time in the history of Lakshadweep, Maldivian was brought into the field of typography. Production of note books for the department of Education and Jawahar Navodaya School at Minicoy. Printing Maldivian textbooks for Standards I to IV. Undertaking printing work from the public on a payment basis. Freely downloadable open-source Unicode typefaces featuring Thaana letters include FreeSerif and MPH 2B Damase. Fthaana, Universal Word, Accent Express, Accent Special Edition are the most common word processors used. However now most of the people use MS Word to write Maldivian. ^ a b Hammarström, Harald; Forkel, Robert; Haspelmath, Martin, eds. (2017). "Dhivehi". Glottolog 3.0. Jena, Germany: Max Planck Institute for the Science of Human History. ^ Frommer's India – Google Books. Books.google.mv. 18 February 2010. Retrieved 21 August 2013. ^ Journal of the Bombay Natural ... – Google Books. Books.google.mv. Retrieved 21 August 2013. ^ Concise encyclopedia of languages of ... – Google Books. Books.google.mv. Retrieved 21 August 2013. ^ Gair, James W. (2007). "The Dhivehi Language: A Descriptive and Historical Grammar of Dhivehi and Its Dialects. 2 vols". The Journal of the American Oriental Society. ^ "Language: Dhivehi". Glottolog. Glottolog. Retrieved 9 March 2017. ^ "Minicoy Language Primer (Maliku Taana - Devana Foiy)". Retrieved 12 June 2016. ^ "The Maldivian Script. Volume One. (Divehi Akuru - 1)". Retrieved 12 June 2016. De Silva, M W S (1970). "Some Observations on the History of Dhivehi". Transactions of the Philological Society, London. .
Geiger, Wilhem (2001). "Maldivian Linguistic Studies". Journal of the Ceylon Branch of the Royal Asiatic Society, Colombo. .
Manik, Hassan Ahmed (2000), A Concise Etymological Vocabulary of Dhivehi Language, The Royal Asiatic Society of Sri Lanka, p. xxiv, 261 . Muhammad, Naseema (1999), Dhivehi Writing Systems, National Centre for Linguistic and Historical Research, Malé . Reynolds, Christopher Hanby Baillie (1974). "Buddhism and the Maldivian Language". Buddhist Studies in Honour of I. B. Horner, Dordrecht. .
Reynolds, Christopher Hanby Baillie (2003), A Maldivian Dictionary, Routledge, London, p. 412, ISBN 9780415298087 . Romero-Frias, Xavier (1999), The Maldive Islanders: A Study of the Popular Culture of an Ancient Ocean Kingdom, Nova Ethnographia Indica, ISBN 84-7254-801-5 . Romero-Frias, Xavier (2012), Folk Tales of the Maldives, NIAS Press, ISBN 978-87-7694-105-5 . Wijesundera; et al. (1988), Historical and Linguistic Survey of the Dhivehi Language, Final Report. University of Colombo, Sri Lanka . For a list of words relating to Maldivian language, see the Maldivian language category of words in Wiktionary, the free dictionary. Look up Maldivian in Wiktionary, the free dictionary. Wikimedia Commons has media related to Languages of the Maldives.